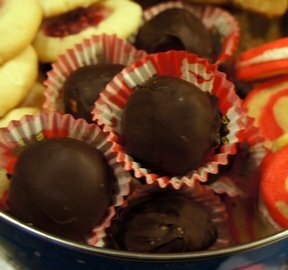 Yummy and sweet holiday treat. 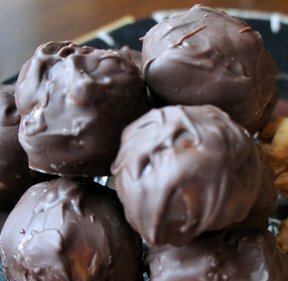 Well worth the effort that goes into making these peanut butter candies. Mix the butter, powdered sugar and peanut butter together. Make sure the mixture does not stick to your hands. You may need to add more powdered sugar to the bowl. Refrigerate overnight. 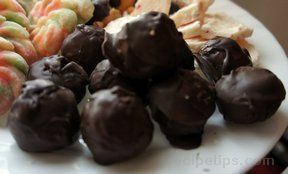 Roll into small balls; dip into melted chocolate and place on a wax paper covered cookie sheet. 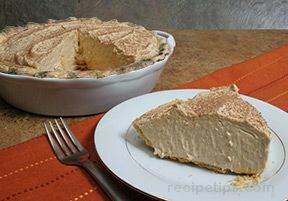 Place in freezer to set, approximately 15 minutes. Place in a sealed container and keep in refrigerator or freezer. "How can comething so simple be SO good? Absolutely delicious."